Motivation Archives - Style. Read. Wander. 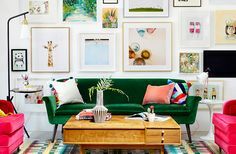 Patterns, patterns and more patterns! 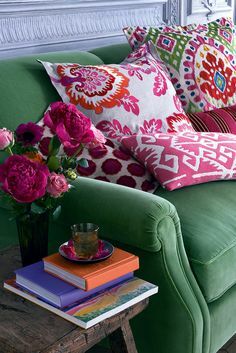 We love this beautiful and bright cushions against that gorgeous green sofa.